Deep and dense body and a soft and fine palate, well integrated in the aromatic oak spices characteristic of Glenfidich malts. 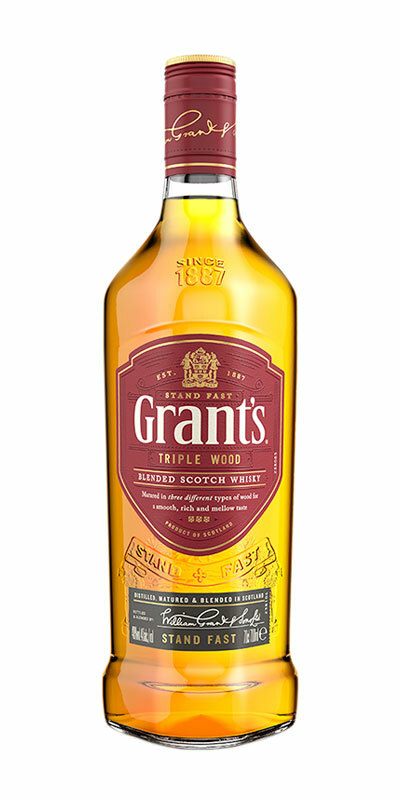 Many whiskies take their flavour from just one cask, but we mature Grant’s Triple Wood in three different types of wood: Virgin Oak cask provides spicy robustness, American Oak lends subtle vanilla smoothness and Bourbon refill offers brown sugar sweetness, resulting in a smoother, richer, mellower taste. Intrigued that whisky and ale have matching profiles, our Master Blender asked a local Scottish brewery to season bourbon casks with their ales. 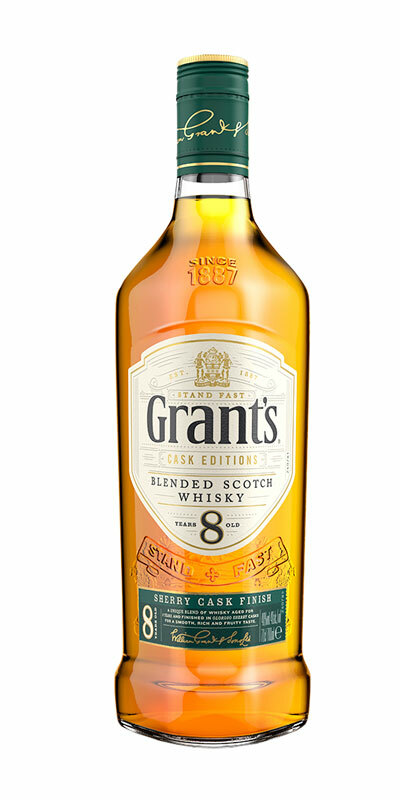 The result: Grant’s Ale Cask Finish. It’s the first blended Scotch to be extra-matured in casks that once held ale, resulting in a smooth, rich and creamy taste. 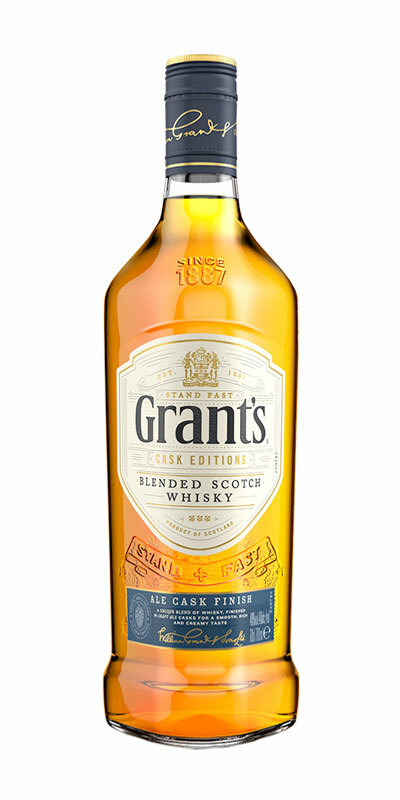 We don’t just mature Grant’s in one cask. Our Sherry Cask Finish spends 8 years ageing in oak barrels, followed by a further maturation period in Oloroso Sherry casks handpicked from Spain by our Master Blender. This is what gives our 8yo Sherry Cask a smooth, rich and fruity taste.